According to several industry reports, including from Search Engine Land, comScore is about to release the search market share data for May 2012. These numbers focus on the amount of overall searches done during the month with these particular search engines. This information helps provide insight on which search engines to optimize for best results. For example, optimizing a site&apos;s content and sitemap to become optimally indexed by Google or Bing is more important than Ask.com or AOL. Additionally, those destination marketing organizations who are working on paid search campaigns will want to focus on the bigger engines. After all, it&apos;s best to gain the most exposure possible and it helps to be where all the people are searching to plan their vacations and trips. An interesting point about these statistics is they reflect non-mobile trends. Even so, Google is still the dominant player in the field, as they enjoy nearly 95 percent of the U.S. market. 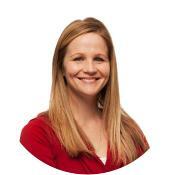 Erin has more than 14 years of marketing experience, the last 8 of which focused on SEO and website usability. As an SEO analyst, she works with clients to continually refine and evolve their websites, building on strengths and correcting weaknesses to constantly improve traffic quality and volume, increase bookings, build databases and meet client goals.